There are a number of exchange websites in Korea today and trying to look into them takes a lot of effort and time due to the language issues (all websites are in Korean) since not all tabs can be translated to English. Today, we will be looking into one of these websites called Coinplug.com. To set everyone’s expectations, we would let you guys know as early as now that this website is focused in the Korean region and is not available for everyone outside the country. The website provides a BTC exchange and an electronic wallet service. 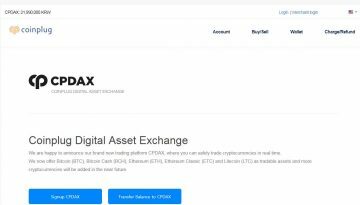 We will explore their website and its features, try to create an account (if we can) and of course, give you guys a preview of what their trading platform looks like. Without further delay, let’s talk about that! Coinplug.com is registered as Coinplug Inc. and their CEO is Joonsun Uhr, their physical office is located in 801, KINS Tower, 8, Seongnam-daero 331beon-gil, Bundang-gu, Seongnam-si, Gyeonggi-do, Republic of Korea. We have looked into more than a couple of Korean exchange websites now and we think we know what to expect from this one. Just like any Korean exchange, we know that they would have levels of accounts with different accessibilities. Let’s see if they got it here in Coinplug.com! A code will then be sent to the provided email address that you need to input within 5 minutes. 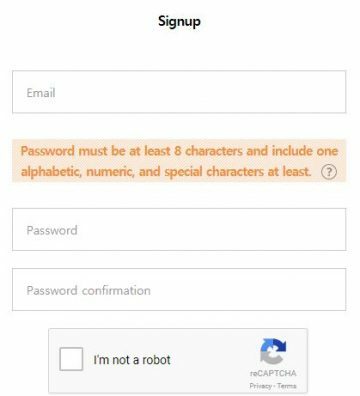 After this has been entered, you will be automatically redirected to the website to provide additional requirements for identity authentication. To go through this, users need to provide legal identification which is Passport or Alien Registration in Republic of Korea or a card issued by the Korean immigration. They would also need to have your bank account information, and phone number (Korean number). What’s great about this website is that they have properly posted their features for the public to see. They’ve got a “Coinplug Wallet” wherein you are able to download their App so that checking your account balance can be done anywhere as long as you have an internet connection. Download the iOS App here, and for the Android App please click here. In South Korea, they also have what is called a prepaid BTC card which is called “okBitcard” this can be bought over the counter at any 7-Eleven/MINISTOP outlets around South Korea. Verified account users also can convert KB points into BTC balance. Read more about KB points here. It seems that they also have Two-Factor Authentication enabled for account holders to add a layer of security to their account. We’ve also included a bonus video on a real transaction with their okCard in Korea. Unlike some of the Korean websites we have created reviews on, this website is making it really hard. Since we are not a resident of Korea or a legal alien, we are unable to proceed and look into their platform and give you guys a preview of how it looks. 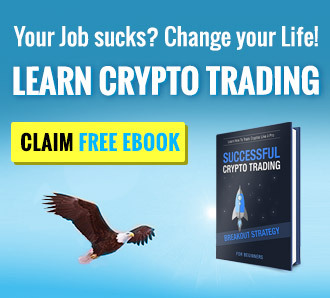 What’s really frustrating is that their website doesn’t have any FAQ’s that you are able to read and get information like what their trading fees are, and what currencies they are trading here because everything is hidden behind the verification process we that are unable to go through. If you guys have experience with this website or have an actual account that you can share with us, please do let us know in the comments section below. We would greatly appreciate it! Email customer service can be reached through support@coinplug.com and their telephone hotline number at 1899-9942 / Fax number is 031-718-1598. Please be advised that their customer support is only available on weekdays 9:00 AM to 12:30 PM and 1:30 PM to 5:00 PM. Honestly, this review is incomplete due to the missing trading, fees, and deposit and withdrawal methods that we are unable to confirm due to not being able to have a verified account. The website does not also have any information regarding this posted on their FAQ’s. We, however, found a couple of things that we would like to share with you guys. We know that we were not able to create an account with them due to the verification issue of not having a Korean phone number. This is actually great, seeing a region-based website not relying on global trade is something that we completely respect. Imagine the number of Koreans today that are willing to trade with their own cryptocurrency exchange websites knowing that they have it all for themselves? International whales are unable to penetrate their own market making it more flexible and there wouldn’t be any crazy-spiked charts. Coinplug.com might be hard on people not living in Korea, but they sure are into something innovative here. Another thing that we want to point out is their okBitcard mentioned earlier in this review. What’s great about this is that it makes it easier for Koreans to get a hold of BTC without even going online to go through trading just to get themselves Bitcoin. They only need to go to the nearest 7-Eleven or Ministop convenience stores and buy themselves Bitcoin, easy as that! It would have been better to get full access to the website but due to restrictions, we weren’t able to. 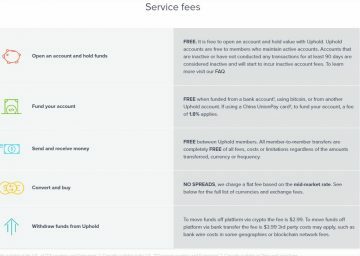 All-in-all, the features are great and it seems that Coinplug.com is off to a good start.